Does Your Design Deliver What Your Customers Want Most? Your website exists to present your brand to the world. That sounds so simple and obvious. So, making a great website should be simple and obvious, too, shouldn’t it? It can be if you know what you are looking for. It’s not about color, fancy animations, or lots of video. A great web design is far more than the visual look of your website; it’s about making a great first impression and then making it easy for people to engage with your content. According to a recent study, 76% of consumers say the most important factor in a website’s design is that it is easy to find what they are looking for. A great web designer knows how to improve your conversion rates by helping your customers find what they want. Never underestimate the importance of first impressions make to the success of a Calgary web design. A well designed website makes your customers feel welcome. From first glance, it looks trustworthy and professional, and it is designed in a way that customers believe they can quickly and easily find what they need. What does this mean from a practical point of view? If people can’t easily find what brought them to your site in the first place, they will leave and likely not return. This is where you really have to think about your audience. Ask yourself if it is obvious where your people are going to find what they want. You should sit down with one of your customers while he or she navigates your site and see how well it works. Anytime a user gets tripped up, you have an opportunity for improvement. You never want your users to have to think about how they are going to get where they need to go. It should be more than obvious; it should be intuitive. Good Calgary web design firms know a solid navigation system is your best bet. Navigation should be simple and straightforward and near the top of the page. Include navigation the footer of your site. Include breadcrumbs so your readers know how they got there. Provide a search box near the top of each page. The best Calgary web design firms understand that a good website is never done. They will assist you with conducting A/B testing to help strengthen your marketing strategy and improve conversion rates. You can A/B test nearly all your design elements—everything from colors, images, copy, button size, and placement. You should test your landing pages and CTAs, too, in order to ensure you have the right number of fields on your forms and the most effective length and layout. Optimization means more than making pages load quickly. It’s also about timing. There will very likely be times when you can expect heavier traffic than usual to certain pages within your site. 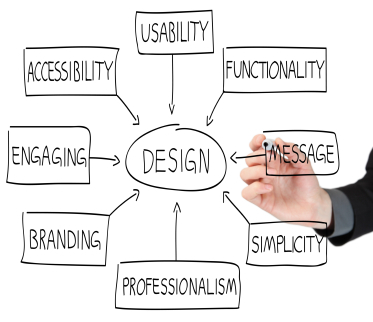 A great design team will be able to help you accommodate that through optimization. Great Calgary web design is about so much more than making a nice looking website. What your customers really want is a site that makes it easy to find what they are looking for. Your website needs to draw people in and make them want to keep coming back for more of your valuable content.